No, it came on Friday (Feb. 16) when — within 20 seconds of each other — Nathan Chen skated his way out of medal contention and Mikaela Shiffrin faltered in the slalom she had been expected to ski away with. The biggest team in the Olympics — 241 athletes — has been a flop so far, winning so few medals that you can count them on both hands. Take away the new wave of snowboarding events, and you can them with one hand. That’s a lot of money with very little to show for it. Through Sunday (Feb. 18) American athletes are fifth on the medal list. 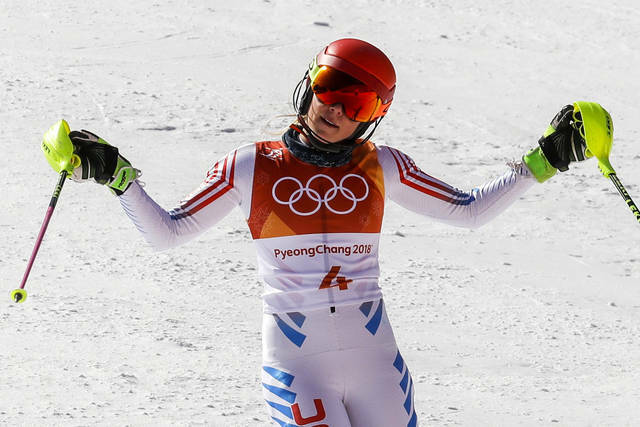 With the dismal performance have come dismal ratings for NBC, which paid $963 million for the games, up from $775 million for Sochi. 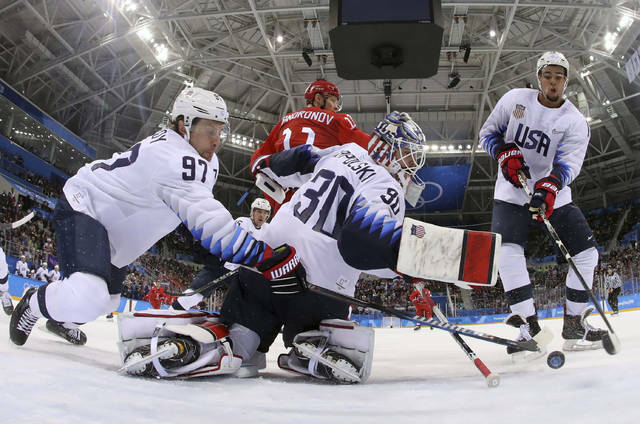 While the Olympics still win the prime-time battle in the U.S., the total audience tuning in was down 16 percent Thursday night (Feb. 15), with the viewership on NBC alone down 29 percent. U.S. teenagers have a lot of potential. Kim dominated in the halfpipe and could be a favorite in future Olympics, and fellow 17-year-old Red Gerard, who won gold in men’s snowboard slopestyle. 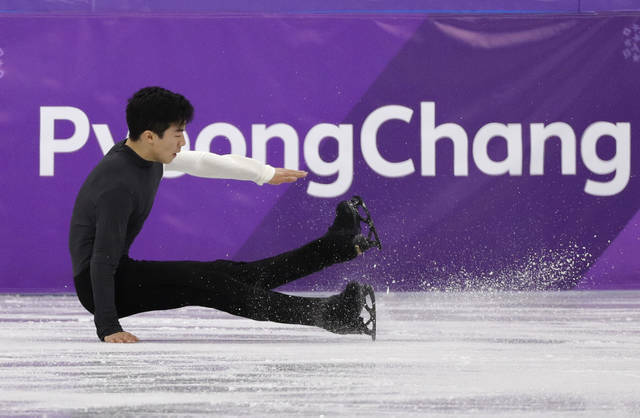 The teen figure skaters Nathan Chen and Vincent Zhou finished fifth and sixth, but they were the biggest jumpers in the competition and could be back with more experience. Add in the lackluster performance of the U.S. hockey team — which lost 4-0 to Russia on Saturday — and the absence of any medals in (non-short track) speed skating and there’s not a lot to cheer about. The games could still be salvaged somewhat by some of the stars with more events left. Shiffrin has an outside shot at two golds in the combined and downhill and Vonn is one of the favorites in the women’s downhill. There’s a new Big Air event where Americans are competitive, and there may be a medal or two left in some of the outlying sports. That’s little excuse, though, for what has been so far a flop of Olympic proportions. The first two openly gay male U.S. winter Olympians are doubling down on their feud with Vice President Pence over his record on LGBTQ rights. Freeskier Gus Kenworthy posted a photo on Instagram of himself and figure skater Adam Rippon with a caption that calls out Pence, who is leading the U.S. delegation to the 2018 Olympics, by name. Rippon was named to the U.S. Olympic team first, making history as the first openly gay man to represent the country in the Winter Olympics. Kenworthy was named to the team a few weeks later. He also used the hashtag “TeamUSGay,” adding American flag and Pride flag emojis. Kenworthy earlier in February called Pence a “strange choice” and a “bad fit” to lead the U.S. delegation to the Olympics. “To have somebody leading the delegation that’s directly attacked the LGBTQ community, and a Cabinet in general that just sort of stands against us and has tried to do things to set us back, it just seems like a bad fit,” Kenworthy said. Rippon has been outspoken about his views on Pence and President Trump, saying in an interview earlier this year that he would decline an invitation to the White House because he doesn’t think he would be “welcome” as a gay athlete. As the Winter Olympics in Pyeongchang began, it was reported that Rippon declined a meeting with Pence, which the vice president’s office, Rippon and Rippon’s mother all denied. Pence tweeted that the report was “fake news” and that he supports all U.S. athletes at the Olympics. Pence’s record on LGBTQ rights, including signing a religious freedom law as Indiana governor that many said would have legalized anti-gay discrimination, has made him a top adversary of the gay community. Current and former Big Ten Winter Olympians have earned at least 29 Academic All-Big Ten selections including three-time honoree Natalie Spooner of Ohio State University Women’s Hockey.